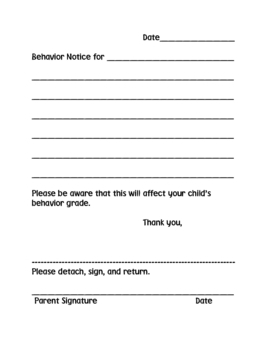 A notice to parents of student misbehavior during a school day. A great home/school communication tool. I've even had some of my older students fill it out themselves.